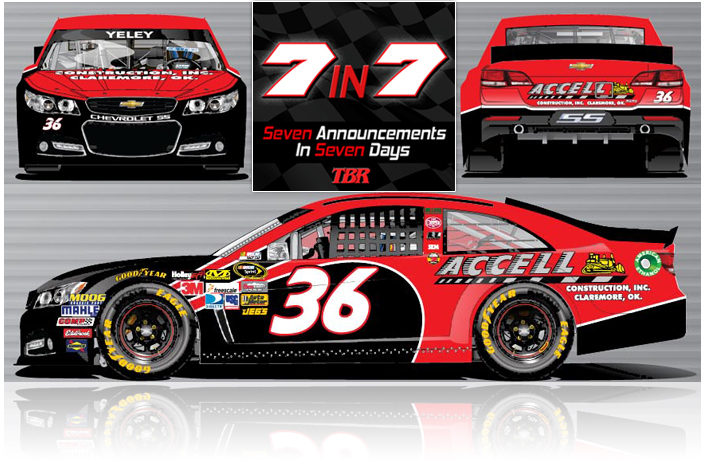 Mooresville, NC (January 30, 2013) ) - Accell Construction will be back with Tommy Baldwin Racing (TBR) and the No. 36 Chevrolet SS of JJ Yeley for six races in 2013. This marks the third year that the Oklahoma-based company will partner with TBR, serving as a primary sponsor at both events at Phoenix International Raceway, Texas Motor Speedway, and Kansas Speedway. For more information on Accell Construction, visit www.accellconstructioninc.com.